Huerter was upgraded to probable prior to the contest, so it's no shock that he's been given the green light. The Hawks will be without a good number of their usual contributors, so Huerter figures to see plenty of opportunities to produce. With the Hawks already ruling out six players for the contest -- including backcourt mate Trae Young (rest) -- Huerter could take on more usage than normal if he gets the green light to play, as expected. Prior to sitting out Friday's 149-113 loss to the Magic, Huerter had been heating up over the preceding four contests, averaging 12.0 points, 3.5 assists, 3.3 rebounds and 1.8 triples in 29.3 minutes per contest over that span. Huerter (back) is listed as questionable for Sunday's game agianst the Bucks, Kevin Chouinard of the Hawks' official site reports. Huerter is in jeopardy of missing a second-straight game with a back issue that's nagged him for the last month. With only two games remaining, if Huerter's back isn't 100 percent, there's a good chance he could be held out for the rest of the season. Huerter (back) has been ruled out for Friday's game against the Magic. While Huerter has had occasional issues with his back over the last month or so, this is the first time that the rookie sharp shooter will have to be sidelined as a result of the injury. 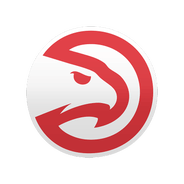 With both Huerter and Kent Bazemore (hip) out Friday, the Hawks will likely have to rely on both DeAndre' Bembry and Justin Anderson to hold down the shooting guard position. Huerter is listed as doubtful for Friday's game in Orlando due to pain in his mid-back, Chris Kirschner of The Athletic reports. Huerter most recently played 30 minutes in Wednesday's victory over the 76ers and appears to have emerged with more back trouble. Huerter had popped up on the injury report a few times last month with a back injury but never missed any time. Now, the Hawks look to be electing to give the rookie the night off, but his status will still need to be confirmed at some point on Friday.